When gambling over the Internet, care needs to be taken since there are many unregulated operators based in foreign jurisdictions. Some governments now impose strict regulations to online casinos operating from their countries. 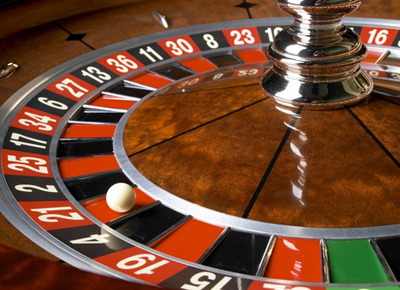 This article explores the safety of internet betting and how to choose a reputable operator. Although online gambling offers greater convenience to the customer, it still needs to be treated with caution since there are many scam sites that have gone bust owing customers money. Although betting over the internet is still a relatively new phenomenon, there is still a lack of control and legal framework to deal with problems that may arise. Before you embark on your gambling endeavours make sure that you play at sites that are licensed in regulated jurisdictions. If it goes bust and it is not licensed it’s virtually impossible to get your money back. If you decide to play poker or other table games, the card room must have its card-shuffling software independently audited to check that it’s fair. Make sure that the online casino checks for colluders and that its policy bans anyone that’s caught. Also look for an operator that has a policy of limiting the number of all-ins. 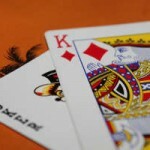 The sole purpose of this rule is to stop cheats taking advantage of the all-in rule. Luckily there are loads of gambling forums on the internet where gamblers can discuss their online poker experiences. There are many sites that blacklist companies that don’t pay their players or that don’t threat their customers fairly. Look for an operator that offers 24-hour support, seven days a week. This ensures that if you run into any problems or if you have a query you can contact a member of the staff no matter what time of the day it is. Always keep your login details to the casino in a safe place. Anyone who has access to your password could place bets or could withdraw money from your bank account or credit card. If you use a computer that’s accessible by more than one person, don’t save the password that it is automatically entered by the computer. Someone else who uses the same computer will be able to access your account. Rather use a site that encrypts your personal information. The all-in rule will always be abused by some players. They will disconnect their computer at a time when it’s advantageous to do so. How do sites combat this? They simply place limits on the number of times the all-in can be used. If the player is disconnected again, then the hand they held is automatically folded. If the site is licensed by the government it’s operating from, you can submit a formal complaint about it to the licensing authority. If the operator is a member of the Interactive Gaming Council (IGC), you can approach the IGC to handle the mediation on your behalf. What Are The Tell Tale Signs Of A Rogue Casino? Some operators offer unrealistic high percentage bonuses (sign up bonuses) or big free chips. They invent all kinds of excuses to delay payments. They only process withdrawals on Fridays and not on weekends. This is an old trick. Why? If a player managed a nice win, he or she can’t request a withdrawal and if they’re not disciplined enough they’ll wager the cash they’ve won back to the casino. Highly unethical operators retrospectively change their terms and conditions or they simply refuse outright to pay legitimate player winnings. Some operators run on cheap software or run on bogus licenses. Rogue operators don’t segregate player funds from operator funds. In other words if the site goes bust, you won’t see your money again. If you want to know more about the ins-and-outs of gambling I highly recommend Jeremy’s interview. GamCare is a registered charity that is the UK’s national center for information. It offers advice and practical help when it comes to the social impact of gambling. This organization issues a certificate to businesses that operators within its guidelines by implementing the GamCare Code of Practice for Remote Gambling. What does it entail? Systems that verify the player’s age. Most operators state that the player must be at least 18 years old before they can register an account. Players must be give the necessary responsible gambling tools such as self-exclusion, session and deposit limits. Reality checks with game screens. Detailed information on responsible gambling, sources on advice and support. Sources and social responsibility content. Staff that’s properly trained in the areas of problem gambling. When it comes to gambling online there’s no physical contact between the players or the support staff at the casino. They cannot see you and you cannot see them. Strictly speaking you don’t have to worry about keeping a poker face and paying attention to your body language-that’s if you’re playing poker online. However, this also means that you cannot assess the tells or body language from other players. Thankfully most operators now use technology where players can now see each other via web cameras. Since you cannot see the players, you must develop a different strategy for playing. The strategy you must employ needs to be based more on probabilities, betting patterns and knowledge gained from previous games. 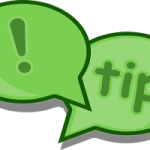 If you a regular player at the site you build up information about fellow players’ betting patterns and habits. Internet casinos keep records of how much players win and lose. This information is used to identify cheats and to allocate comps. This information is passed on to government agencies for the purpose of taxation and to clamp down on money laundering. In the USA, for example, the personal details of players that won a large jackpot is given to the IRS (Internal Revenue Service). Make sure that the strategy you use is the correct one for the game you are playing. While you’re still learning the game, play slowly and don’t become reckless. Always keep in mind that gambling online is the ultimate solitary experience. You’re on your own and there’s no one to tell you to stop if you’ve wagered more cash than you can afford to lose. This is why it’s important that the licensing authorities must equip gamblers who play too long with the necessary tools. Research shows that the vast majority of players use credit cards to fund their accounts. This means that the player is borrowing money to fund his or her gambling habits. In some cases, they don’t always have the resources to pay back the cash they’ve borrowed from the bank. Interest rates on credit cards are among the highest anywhere on offer. ← Previous StoryCan Internet Gambling Boost Land-Based Casino Profits? 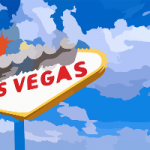 Next Story →Casino Affiliates:What Is Off-Page SEO?